Android turned 8 just a few days ago and the Hiroshi Lockheimer (SVP of Android, Chrome OS and Play) teased that "from now we'll be talking about Oct 4, 2016." What's the big deal? Here's the rumor roundup, much of which has been confirmed by several solid leaks. It seems that the Nexus line is rebranding to Pixel and which company better-suited to build the new devices than HTC - the company that built the first Nexus One (also the first Android). Two phones - the 5" Pixel and 5.5" Pixel XL - will bring Google Magic (this isn't a metaphor, the advertised feature likely relates to the Google Assistant). Both will share most of their features - from the new version of Nougat (Android 7.1), through chipset (Snapdragon 821) and storage options (32GB or 128GB, don't believe the microSD rumors). The cameras will be updated versions of the excellent 12MP shooters on the current Nexus phones and there will be 8MP front snappers. 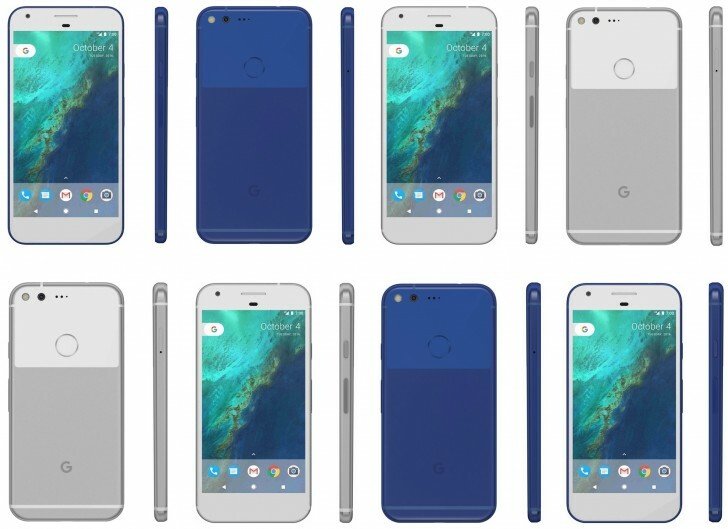 The Pixel XL will have a QHD screen and pack a 3,450mAh battery while the smaller Pixel will use a 1080p screen and 2,770mAh battery. Some water resistance is possible, but prices will be salty - the XL could start as high as $650. Huawei built the Nexus 6P and this collaboration was supposed to carry on with the Pixel but plans changed. The tech giant may not be out of the pure-Google game completely and is said to be working on a 7" tablet - a long-awaited replacement for the Nexus 7 (perhaps a Pixel 7 now). Google did a lot to popularize phone-based VR with the affordable Cardboard, but that was far too simple to offer more than a taste. 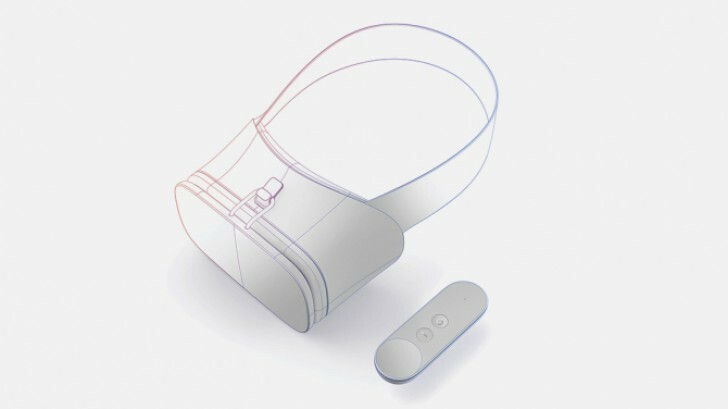 The full meal is the Daydream VR, which will likely debut alongside the Pixel phones. Not every phone is "Daydream ready," the requirements are unclear but will likely impose minimums on the screen pixel density and the quality of motion-tracking sensors (a beefy Vulkan-enabled GPU is a given). Google may try to one up Samsung by undercutting the price of the Gear VR - rumor has it that the Daydream VR headset will go for $80. And it will come with a Wii-like motion controller. This one is more of a look towards the future - perhaps what Mr. Lockheimer was referring to. Andromeda is said to be the union between Android and Chrome OS. It makes a ton of sense - some Chromebooks can already run Android apps and the Chrome browser is more tightly integrated into Android than ever. Since Nougat, the WebView component has been replaced by Chrome (this is a component that allows apps to be built on web technologies, sometimes as simple as packaging a mobile website). 4K video is big and Google's media player is the only one not to support it - companies like Roku and Amazon brought down the price of entry for 4K streaming to the $80 range. 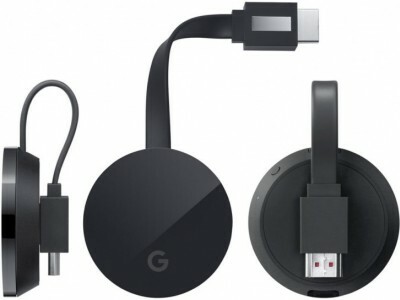 The Chromecast Plus is rumored to cost about the same - $70 - but it supports screen mirroring from Android devices and will perhaps feature Google Home. Following in the footsteps of Alexa, Google's talkative digital assistant for the home was announced at I/O but now we may see it in hardware form. That will allegedly cost $130 (Amazon is charging $180 for an Echo, Alexa's top physical body). This is the assistant behind Google Allo, by the way, so you may soon be able to talk to it, not just write to it. Another Wi-Fi router from Google, this one will support mesh networking to so you can easily connect several units to improve coverage around your house. It will be cheaper than the OnHub - $130 vs. $200. That's the same price as the Home, perhaps there will be some interplay between the two (the OnHub router didn't have microphones, so voice commands are not supported). Trying to make pretty much the same choice: either $750 for Pixel with all its super technology, ecosystem and fastest updates, or $400 for OnePlus 3 which is quite a decent phone. I still tend to incline towards Pixel.